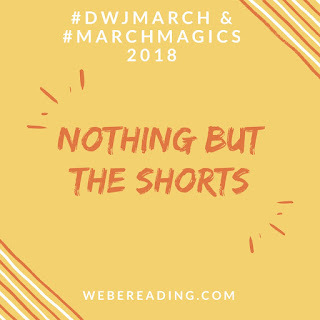 We're nearly three-quarters of the way through March Magics / DWJ March, I have read nothing else but stories and novels by these two authors, and I could honestly keep going through the month of April. 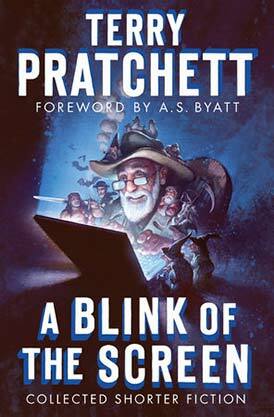 First up: Terry Pratchett's A Blink of the Screen: Collected Shorter Fiction, where all but one story was new to me. I didn't dislike a single one of the 33 pieces in this book. The worst I can say is that some of them just weren't subject matters that I cared that much about -- like football rosters and British politics. I wouldn't mind skipping a couple of those on reread. 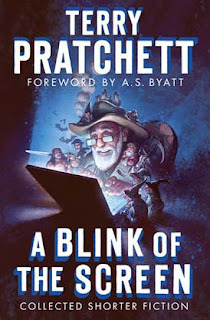 But, of the rest, I enjoyed the diversity of topics, the humor, the tie-ins to classic literature, and yes, Granny Weatherwax. My favorite was "FTB", where a computer gets a visit from a down-at-the-mouth Father Christmas. It was the sweetest story and, if I can remember, I'll revisit it in December! Then I had a truly enjoyable reread of Mixed Magics, four shorts set in the Chrestomanci world. 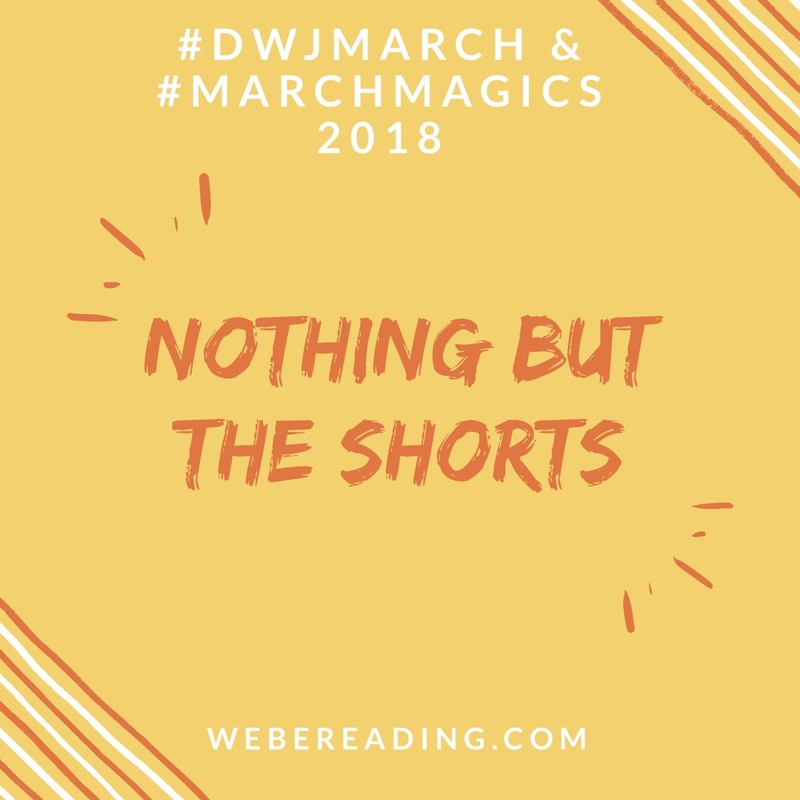 His appearances in them range from not at all to fairly major character but the stories all have that sense of omnipresence that DWJ wrote so well into all of the Chrestomanci tales. I barely remembered any of the plots from the last time I read this book so it was almost like reading them all again for the first time. Also, I want to buy the version with this cover -- not because I especially dislike the cover on mine but because my copy is crunchy. It crackles with each turned page because it was bound badly. I'm hoping a newer version will be better! 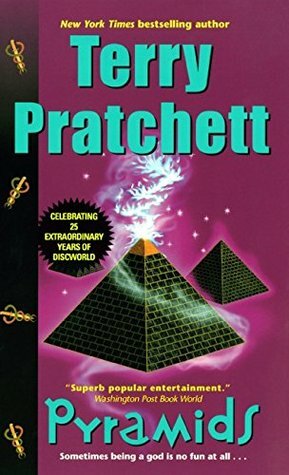 Pyramids is actually the first book I finished this week. It's part of a little two-book Discworld side-arc and I really liked it! It explored ancient religions, family dynamics, and advanced mathematics (as calculated by camels) and was a fun "now-for-something-completely-different" kind of book. It would definitely work as a standalone. Well, I'm out of short stories from both authors (except for that elusive DWJ, "The True State of Affairs", and the Pratchett Christmas collection) so I guess I will just be reading novels for the next week. I have a couple more Discworld books out from the library and I'm planning to reread Homeward Bounders. After that, who knows?! What did you read this week? What are you going to try and get to before the end of the month? Leave thoughts or links below! Ahahaha, I just recently read the Magid books out of order too. It's fun either way. And I scored a copy of The Carpet People at a used bookshop this week too, so I'm excited for that! Yes, the Chrestomanci stories would be confusing if you hadn't had the worlds explained to you already! Enjoy the rest of your reading! 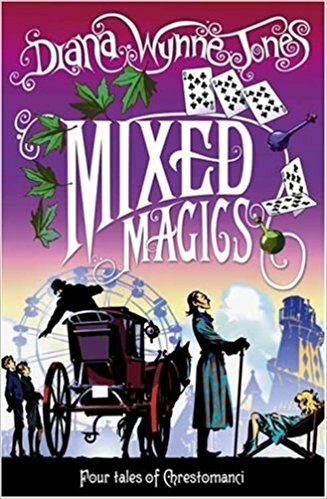 As it includes centaurs I wonder if this mightn't be an unofficial prequel in the Magid series? From your post, it definitely feels like some of the Magid ideas started germinating in this one! 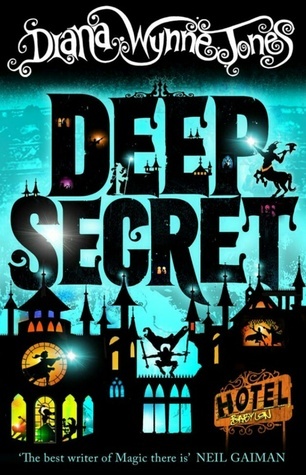 I've started reading Deep Secret now, just because. There are so many great characters in this one, including the supporting cast - Dutch Case is making me laugh at the moment. I had totally forgotten about Dutch Case until I read it again. What a goofball!